Wood Awards. 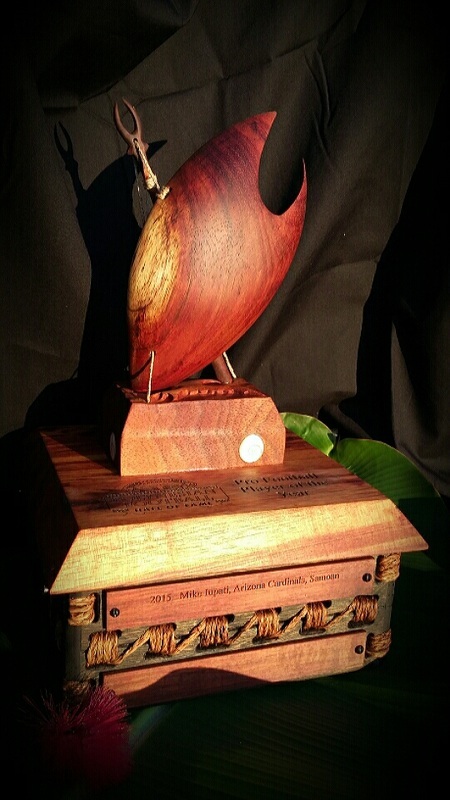 Custom Design Awards, Hawaii - Hawaii Woodcarving by Tevita Kunato. Hawaii Woodcarving by Tevita Kunato. If you are interested in a very special award that reflects the image of your organization or event, I would be honored to help. 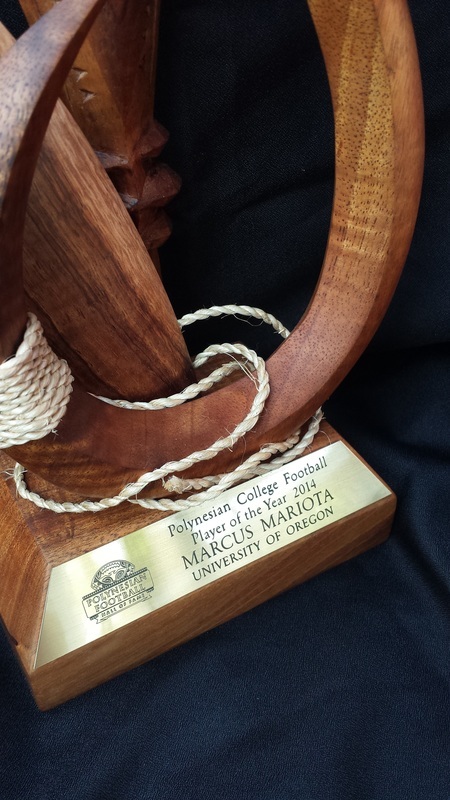 This trophy was designed to capture Polynesian pride. It symbolizes three essential elements of the Polynesian identity: Talent, Journey and Strength. The makau, or fish hook, represents the skill of the fisherman who catches the most fish. It also embodies Ka Makau Kahii O Maui - the Polynesian folk hero Maui and the magic hook with which he pulled the islands from the depths of the sea. The Pe'a, or sail, represents the kupuna or tumbuna (ancestors) who braved the liquid continent and became revered voyagers who charted new paths and discovered new lands. The war club represents power, fearlessness in battle. 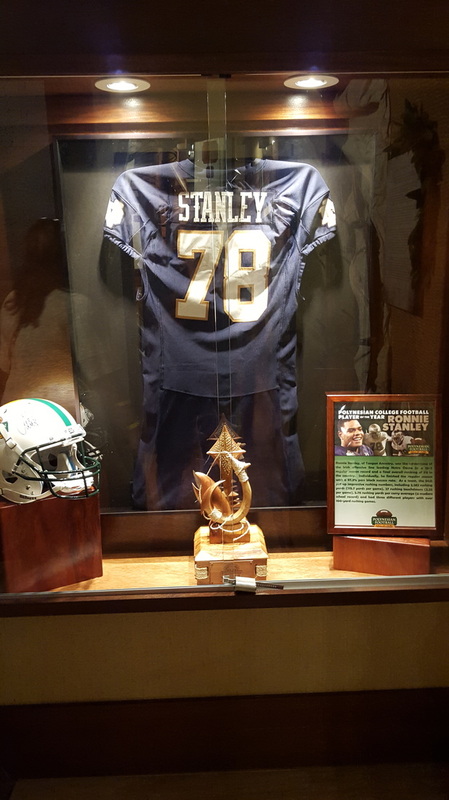 The bearer of this trophy is the modern hero who, with his skill and strength of will, reached across the Pacific to pursue the dream of playing football. 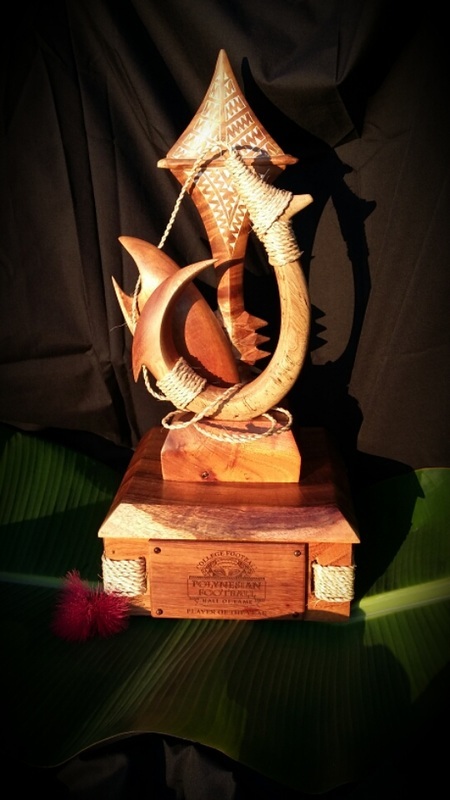 This trophy was designed to celebrate the rich history of Polynesian seafaring. The Crab-Claw sail was used so commonly throughout the Pacific that it has become a symbol, not only for Polynesian seafaring, but to Polynesian peoples. The award also brings attention to the ancestral knowledge of ocean winds, the currents and the stars. The Frigate bird or Iwa effortlessly glides with the winds. The inlaid shells under the sail represent a charted celestial path across a vast ocean. Lastly ingenuity and expertise in Polynesian canoe building, design and strength is mirrored in the award's base. Traditional coconut fiber lashings tie the base together with no need for modern adhesives capable of withstanding the mighty ocean swells. 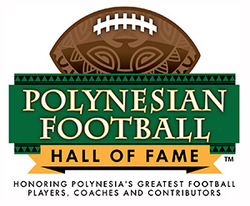 The recipient of this award represents the best of Polynesian determination, strength, expertise and desire through his excellence in the sport of Football. May these ancestral marks continue to fill his sail.